At some point in everyone’s life we think about our ideal home. We dream about what it will look like; the colours, the layout and the decor. A lot of planning and preparation goes into making a house. Hiring an architect and builder is one of the most important tasks of the home building. Usually, for the owners, home building can be an incredible experience, but for the builders and architects, it is a routine job. We spend most of our time thinking about the compact and cozy interiors that we often tend to forget the exteriors of the house. Along with due consideration to the interiors, we should also consider that exteriors is that part of the house which grabs immediate attention. An exterior needs to be neat and tidy and also well organized. An architect can help in choosing the best design to meet the needs of the family members. On the owner’s part it is essential to determine and communicate the needs properly. 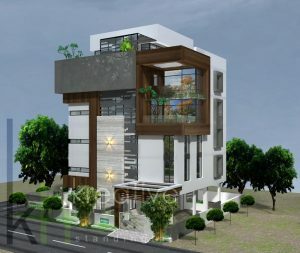 We hereby bring you some modern and eclectic exterior designs designed by kreative House, architects from Hyderabad and Pune…. Choose the Right Dining Table! !